Gunung Leuser National Park and the surrounding area are known as the Leuser Ecosystem which became a UNESCO World Heritage Site. There are approximately 130 species can be identified in Gunung Leuser National Park, namely: Sumatran tigers, elephants, rhinos, gibbons, monkeys, leopards, reptiles, fish, and 325 species of birds. By sign in to Bukit Lawang, North Sumatra and traveled to Medan is the easiest route to reach Gunung Leuser National Park. 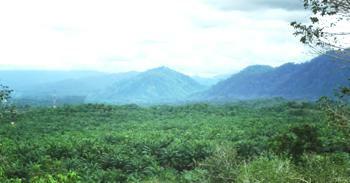 Ketambe is also an alternative for entry into the Gunung Leuser National Park. Heading to Ketambe is easier to reach from Medan and Kutacane, a town that close to Ketambe. You can use the bus from Medan, at Pinang Baris Bus Terminal to Bukit Lawang. It takes 86 km by road to the northwest. To return back to Medan, you can take a minibus or a large bus from Bukit Lawang Bus station. However, you will find the driver offering minivans from the Belawan ferry terminal direct to Bukit Lawang. The prices may vary and be higher than the public transportation.